Silver Foil Screen printing Heat transfer. 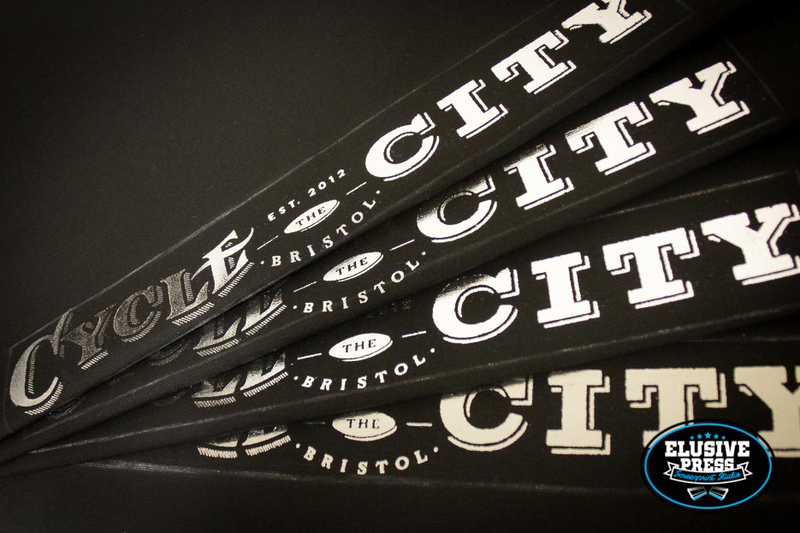 We hand screen printed some custom fabric for ‘Cycle The City’ Bristol using silver foil transfer screen printing methods. 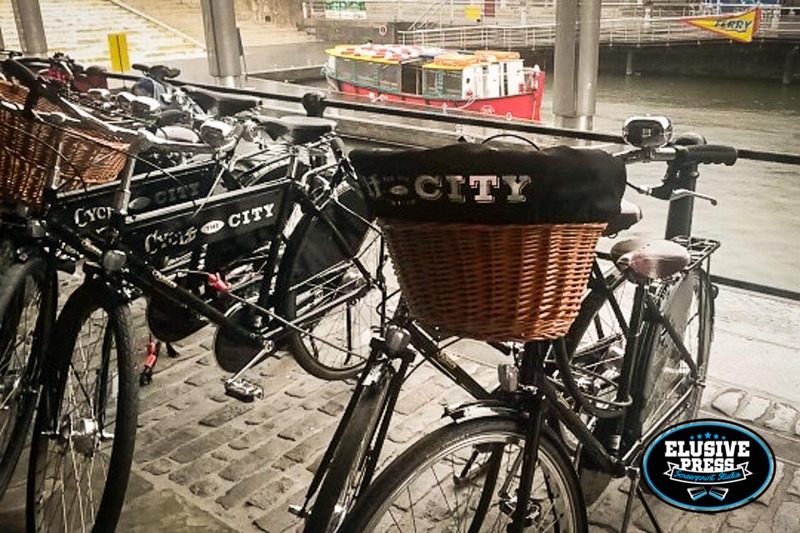 The material will be tailored into retro bicycle basket linings, for a fleet of bikes available for hire on city tours. You can see in these photos how reflective and shiny the silver foil t shirt print process appears when used on fabrics, t-shirts and a sweatshirts. 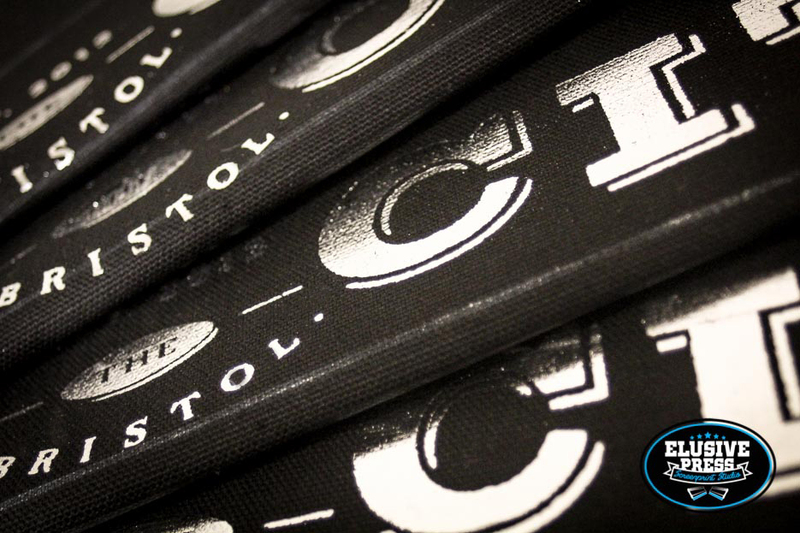 We are a specialist T shirt and sweatshirt printing service in Bristol and one of the only screen printers to offer heat transfer silver and gold foil printing on garments, including t shirts, polo shirts, sweatshirts, hooded sweatshirts and specialist promotional items such as bags and fabrics. T-shirt printing in Bristol. 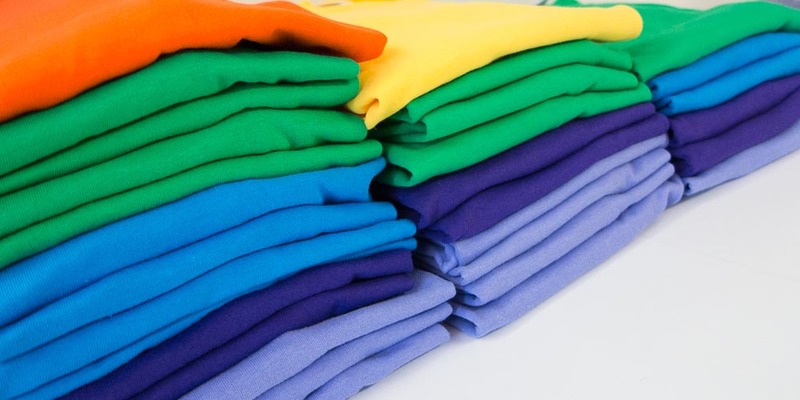 We also offer, sweatshirt printing, hooded sweatshirt printing, custom and specialist t shirt printing. 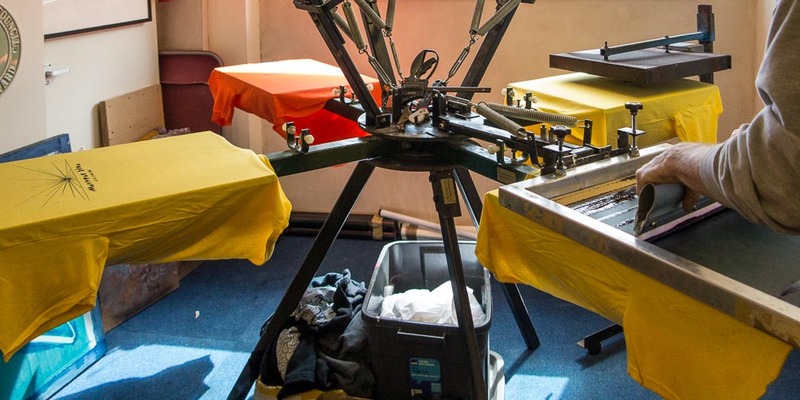 We are a Screen Printing service based in Bristol, a Bristol screen printer with many years of tshirt and sweat shirt printing experience. Offering high quality printing with a fast turnaround from email of artwork to full screen printed garment. 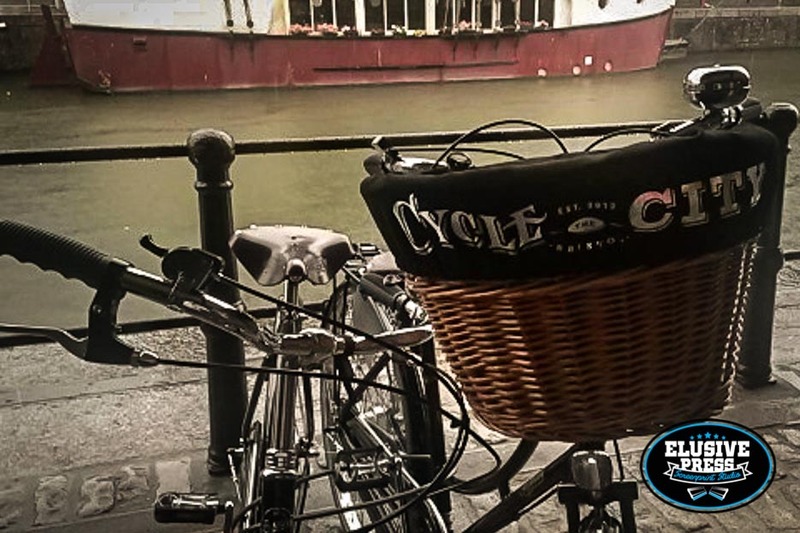 We are also one of Bristol's cheapest screen printers, offering cheap t shirt printing for small private customers to large volume commercial promotion products. Concert and festival t shirt printing, high volume low cost and fast turnaround. 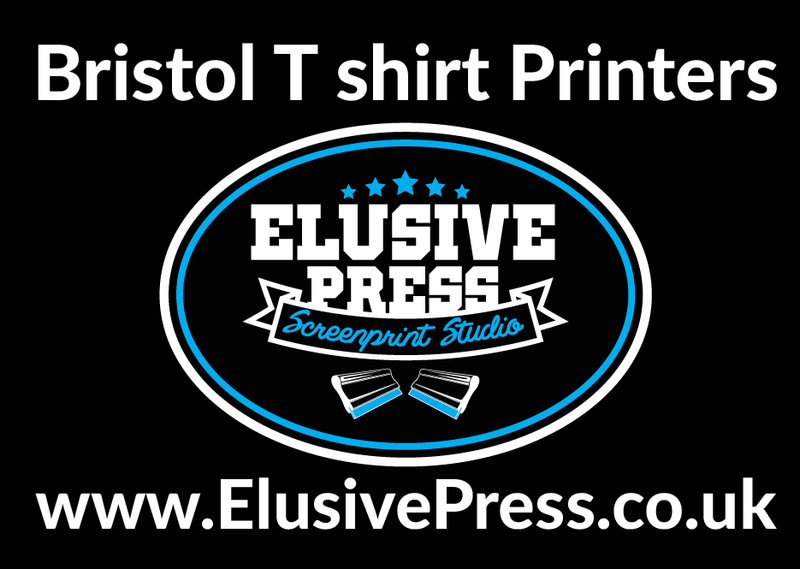 At Elusive Press we can help you build your business or event one Tshirt at a time. 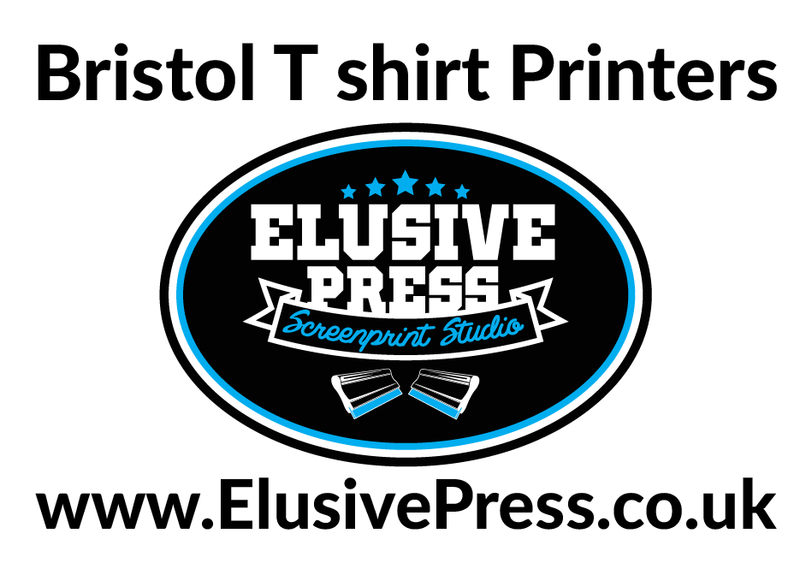 Elusive Press Screen Printers have two print studios one based in Bristol, and one based in Cornwall. For all your screen printing requirements you need look no further. We will be happy to quote on your artwork for; T shirt printing, sweatshirt printing and specialist garment printing. We have a simple to use contact form for you to send us your artwork and screen print requests. If you are looking for same-day fast t-shirt printing, or you need large volume quick turnaround then telephone us directly on the number below, we will get back to you as soon as possible. Open: 9:00 a.m. – 17:00 p.m.